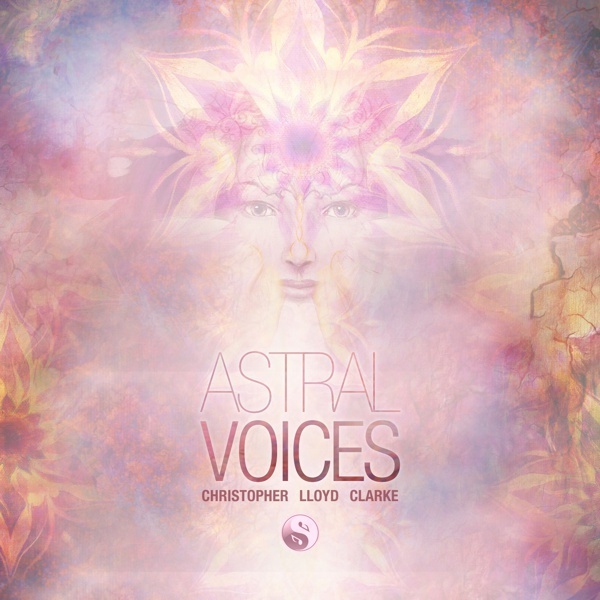 Astral Voices is an evocative composition featuring angelic vocals from another realm. The music includes spacious breath-like sounds, celestial chimes, Tibetan singing bowls and a deep pulsing drone. It’s a genuinely unique musical experience. Three different editions of the music make it very versatile and present three different atmospheres, from sleepy minimalistic drones to luminous ethereal vistas. Lastly, this collection is complemented by a standalone “Breathing Loop” which can be used as a tool to encourage a slow, meditative breathing rhythm. During the creation of this music I sought feedback from a few trusted listeners, all of whom are experienced meditators. Their comments were so varied that I was encouraged to create three different versions of Astral Voices. The original version of Astral Voices opens with a breath-like sound that provides a sensation of inhalation and exhalation. It’s steady, it’s slow and it also bestows a feeling of spaciousness on the music. This slow breathing sound can help to encourage listeners to lengthen and deepen their breathing while they settle into the music. After a few moments, an angelic voice begins to echo through the vast inner space that the breath opens up. These vocalizations come and go throughout the entire duration of the music and they are interspersed with other cleansing sounds, like bowed Tibetan singing bowls and twinkling chimes. This combination of sounds and the sense of space they provide can lead to beautiful feelings of euphoria and inner expansion. A few minutes into this musical journey, a deep pulsating drone joins the arrangement. This drone pulses at a slow rhythm of around 52 beats per minute (bpm). In a sense, this is the heartbeat of the music. It also serves as a hypnotic element. Listen to the drone and you'll hear how I used filters to cyclically add and remove treble from this drowsy sound. This imparts a feeling of opening and closing, rising and falling, like eyelids drooping heavily as one resists the urge to sleep... and then surrenders. For those who are interested in the subject of brainwave entrainment audio, this 52 bpm drone is actually a kind of isochronic tone. It oscillates with a delta frequency of 0.85 Hertz. Unlike typical isochronic tones, which tend to oscillate in a very abrupt, punctuated manner, this drone “pulses” rather than “beeps”. It’s more organic and more interesting than isochronic tones usually are, and because it’s a primary feature of the music I have been able to present it at a much more effective volume than I might have otherwise. The “Light Edition” of Astral voices dispenses with the drone but retains all the other elements of the Original Edition. Without the drone the music has a much lighter, more ethereal atmosphere. It retains the brightness of the spiritual realm from which this music arises and, even though the music is very relaxing, it feels less sleepy than the Original Edition. The third version, the “Subtle Edition”, consists of just two elements: the breath-like sounds and the pulsing drone. This stripped back version of the music is essentially the “heartbeat and the breath” of Astral Voices. For those who prefer absolute minimalism in their relaxation music, this edition may be the most appealing. It’s a wonderful tool for encouraging deep, slow breathing and it can also be used as an exceptionally effective sleep aid. I created this loop to provide you with a non-musical sound that can be used specifically to encourage your listeners to focus on slow, deep breathing. As I’m sure you are aware, slow, deep breathing is one of the most fundamental relaxation techniques. However, some people find it difficult to maintain the depth and pace of their breathing. This breathing loop acts as a cue to help keep one’s breathing on track. Breathing in time with this sound will probably come quite naturally to you. The alternating high/low pitch of the breathing sound should be coordinated with inhalation and exhalation. This will slow your breathing rate down to less than 4 breaths per minute, while encouraging very full, deep breaths. Breathing this way can take a little practice, and some people may find it difficult to do so for a long period of time. I recommend that you advise your listeners to coordinate their breathing with the sound for a short time, perhaps during the initial stages of a meditation or hypnosis journey, and then let them establish their own natural breathing rhythm. In other words, you can leave the breathing loop playing in the background while you guide your listeners to coordinate their breathing with it as much or as little as you deem appropriate. Even if you have no particular use for the other editions of Astral Voices, you may find that this breathing loop has a valuable place in your personal treasure chest of relaxation audio. For example, you could use it as an introductory sound that precedes ANY music (not just Astral Voices) and given that it's a loop, you can stretch it out to any duration you like. What are the lyrics in Astral Voices? The beautiful vocalizations in Astral Voices are simply “spiritual expressions” that are not intended to be decipherable. I didn’t want anyone to become preoccupied with lyrics, so the vocals are simply there to bring an angelic presence to the music. I am genuinely excited to share this music with you. My evaluation crew and I have all enjoyed some exceptional meditations while listening to Astral Voices. I have a feeling that this music might not suit everyone's tastes (no music ever does), but for those people who do enjoy it, I can tell you from experience that some blissful moments of musically inspired joy are heading your way. As I type this, I'm smiling from ear to ear just thinking about it.